Sign-up and receive Property Email Alerts of Residential New Developments in Southcrest, Alberton. 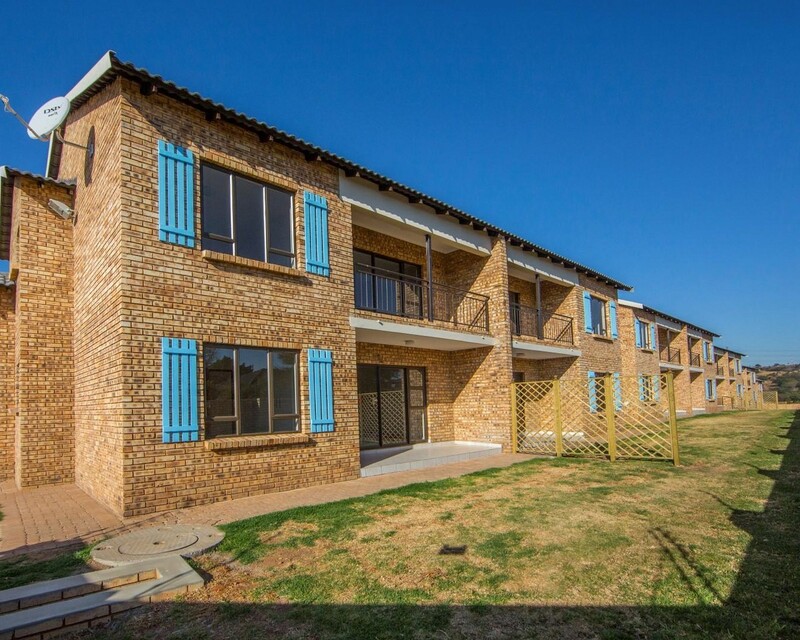 Boudouris Crest is a newly completed, modern apartment-style development situated in the quiet suburb of Southcrest, Alberton. It is in close proximity to major highways, good schools, as well as shopping centres and has stunning views. Apartments are either ground floor or upstairs units. All apartments have two bedrooms, 2 bathrooms (main-en-suite) and a spacious living area with sliding door to a patio or balcony. Units are fitted with built in kitchens including a fitted oven and hob with a choice of wood finishes depending on the unit you prefer. Some units have been designed to fit a double door fridge. The units are tiled throughout. Pre-paid meters are installed to help you manage your electricity costs. Each apartment has its own shade-port parking bay. Visitor parking bays are available within the secure estate. The development is securely fenced with access control and a Mircom intercom system. Newly built and ready for occupation. Secure complex with access control and a Mircom intercom system. Perfectly located in quiet suburb with stunning views.